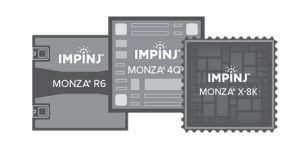 With major airlines using Impinj Monza tag chips to help track luggage, it’s exciting to see this technology grow. The International Air Transport Association (IATA) voted to approve a mandate requiring member airlines to implement RFID baggage tracking. The implementation is set with the goal of rolling out the technology globally by 2020. According to IATA, member airlines represent 83% of the global air traffic, with the tracking solution in place consumers can track the movement of their luggage from their phone. 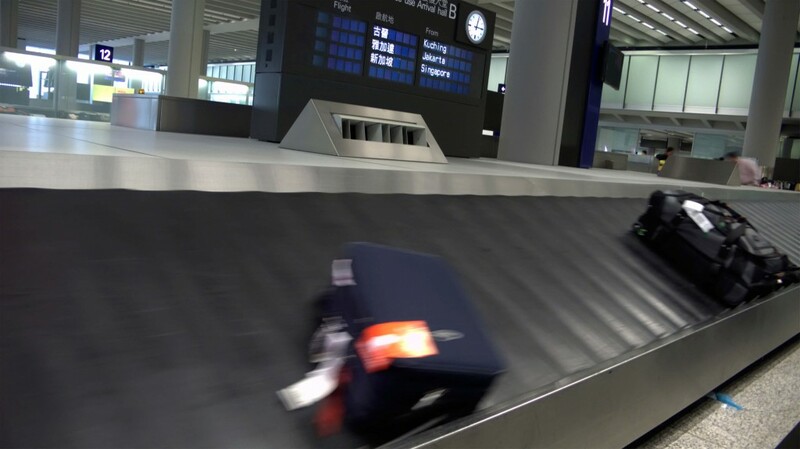 Airlines and airports are no stranger to RAIN RFID, London Heathrow and Las Vegas’s McCarran Airport already use the tracking solution from finding a trolley to sorting and tracking luggage. These types of baggage tracking solutions, among others, have helped the industry drop their lost luggage rate by 70% over the last decade. This is great example of how technology impacts our everyday lives, whether its down on the ground or 40,000 feet above! Talk to our dedicated account managers to see how we can help you with tracking solutions in your business today! A warehouse robotics manufacturing company was in search of a user interface to complete and enhance their robots. A powerful barcode scanning solution with a strong and durable scan engine was required to improve processes. Additionally, it needed to be compatible with the iPad Mini due to their workers familiarity with the product and integration with their existing enterprise software. Barcodes identified an optimal barcode scanning solution that not only streamlined processes but also increased the revenue stream for a robotics company’s clients. The robots created by the robotics company are used at their customer’s facilities. 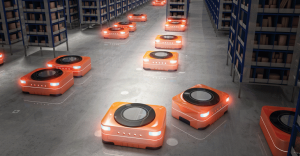 A technologically advanced solution was required to allow warehouse associates the ability to interact directly with the robots for order picking, inventory control, and efficiency measures. They need a simple and lightweight solution to implement various warehouse management applications. 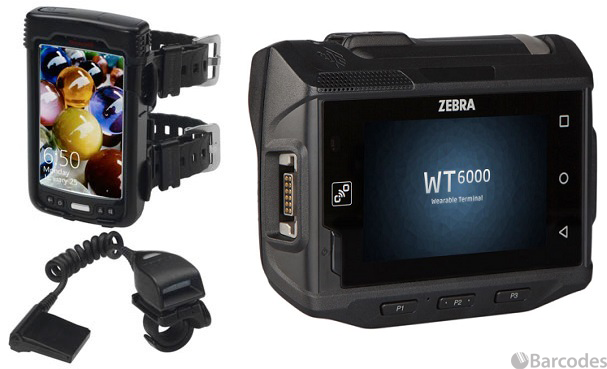 Barcodes recommended the Infinite Peripherals Infinea Tab™ M and case (CS-TAL) with 1D/2D barcode scanner, along with the Apple iPad Mini. This allowed mobile employees to convert the Apple iPad Mini into a powerful warehouse management and scanning solution to fulfill their operational needs. 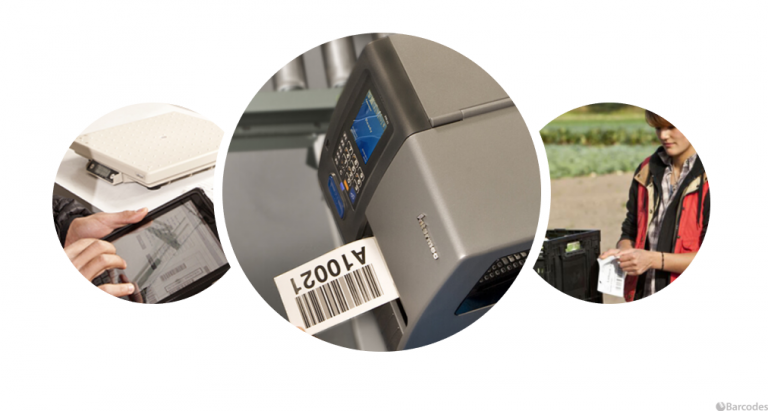 The Infinea Tab™ M has a 2D imager scan engine which reads the most widely used 1D and 2D barcodes that has made it the ideal solution for order picking and inventory control. Having implemented the solution, the warehouse robotics company has seen the benefits of using an iPad mini and powerful scanning solution in one. The intuitive user interface on the Infinea Tab™ M has led to increased productivity by the end users, which has allowed more orders to ship; thus, revenue to increase for their customers. The warehouse robotics company has scaled widely once their robots were delivered and implemented at each of their customer’s site. Not only through word of mouth, but through various trade shows, the interest in the robots and the technology used within the robots has set the company on a path for tremendous growth with the help of Barcodes. Honeywell’s Intermec PM43 improves warehouse printing and productivity by offering you reliable performance for uptime assurance, quick deployment, and fast integration. The PM43 industrial printer deliver proven reliability, fast drop- in deployment, and advanced connectivity to maximize your uptime. It also minimize your workforce training and device support needs with a vibrant touchscreen user interface available. Notifications are displayed right on the screen and the interface can be locked down to eliminate tampering. Click here to see the recommended labels for the printer along with ribbons and printheads that you will need with the PM43. Additionally, don’t forget to get the service contracts which will protect your printer and keep your printer in tip top shape to maximize uptime. Everyone knows, a strong foundation is the key to any business. You need the right building blocks if you’re going to plan for success. Today, that means technology solutions that helps your business grow. Barcodes have the right resource that can help your business increase productivity, mobility, and efficiency in your daily operations. From manufacturing, logistics, transportation, along with fulfillment, retail and hospitality, companies are evaluating and investing in the latest technology and solutions. Our solutions can find ways to help you streamline your workforce and bring you the return on investment you are looking for. 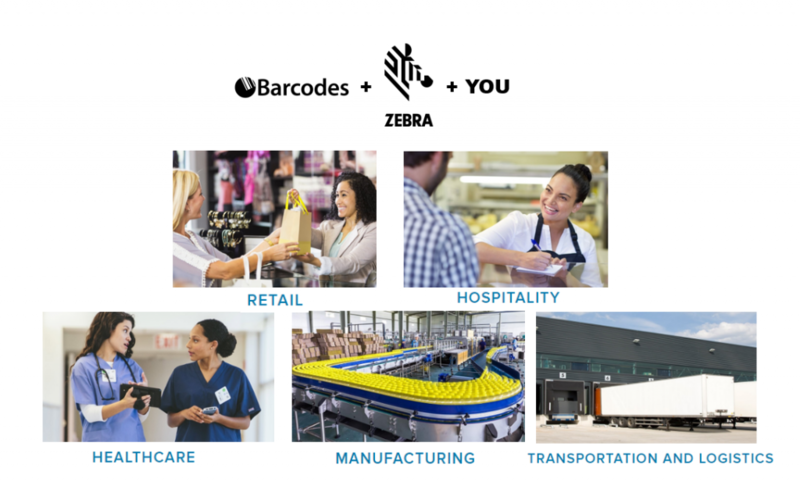 Offering a total package from start to finish with consulting services, Zebra Technologies and Barcodes Inc. can help you deploy the right solution. Together we have the equipment and software that will put you ahead of your competition. Feel free to schedule a time through email or phone to discuss the areas of your business that you want to improve with us and we will love to show you how Barcodes, Inc. can help achieve your goals. Warehouses and Distribution centers are seeing wearable mobile computers revolutionize the industry. Providing increased flexibility, operational improvement, improved productivity, and significant cost savings. With wearable computers users will be free from the constraints of using one hand to carry around a scanner or mobile computer; instead users will have the flexibility to work hands-free while still accessing the data they need to complete the tasks at hand. A hands-free user will be able to accelerate picking, packing and shipping operations. A Honeywell survey stated that on average companies lose over $400,000 every year in picking errors. With these lightweight and compact computers, users will have a wide range of motion. This allows users to complete tasks in less time without losing the valuable accuracy that is needed. 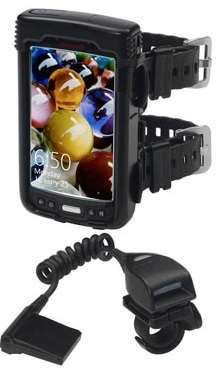 There are a variety of options when it comes to wearable mobile computers. 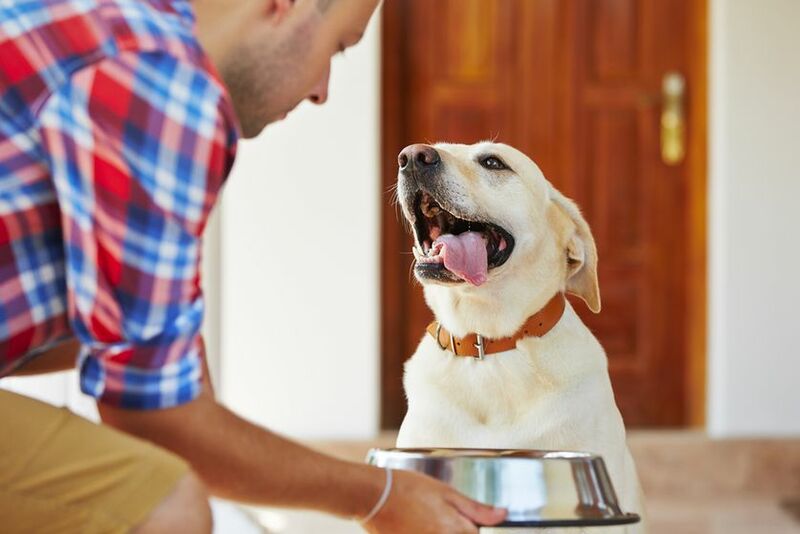 Two of the industries leaders, Honeywell and Zebra, have options that could help turn around warehouse and distribution centers. Honeywell’s rugged Dolphin 75-e Wearable has a large display with flexible touchscreen keypads. The accessories provide increased comfort and improved hygiene over conventional wearables. 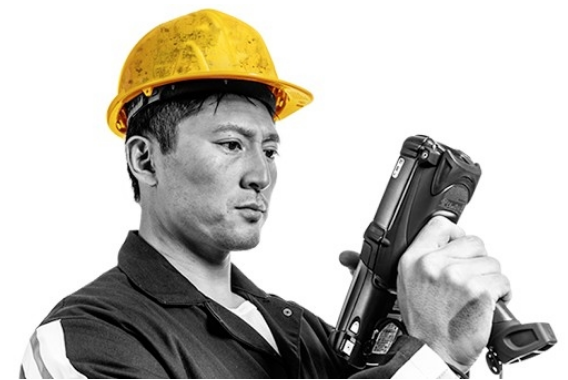 Combine it with the 8620 Ring scanner to get a truly hands-free experience that is guaranteed to help improve productivity in the workplace. Zebra’s WT6000 Wearable Computer fits comfortably on any size arm and with a large touchscreen that provides more real estate to display intuitive graphical Android applications. Pair it with the RS6000 Bluetooth ring scanner and users will have the technology to take their productivity level up a notch. If you have any questions or are interested in a quote, feel free to contact our dedicated account managers.